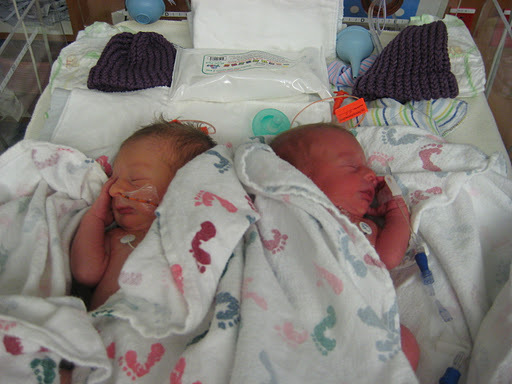 Carter and Cooper are still in the Level II Nursery (basically the NICU) at AF hospital. 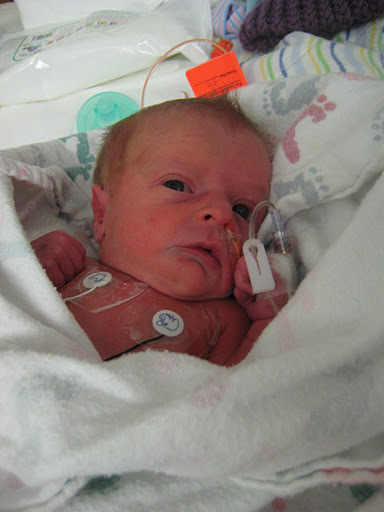 This week they have been getting lots of sleep and learning how to eat enough to gain weight. It’s basically the same story as with Isaac a year ago. We can go home when they figure out the eating thing. They are progressing much quicker than their older brother did though. Carter is definitely the more laid back of the two. He prefers sleeping to eating most of the time. 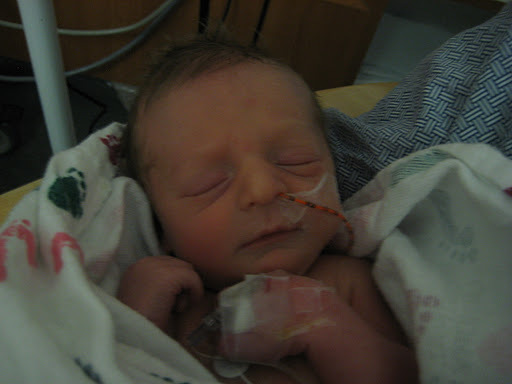 Cooper is feisty and was looking for food from the first hour he was born. Usually he is the first one awake at feeding times and is looking around for his momma. Carter smiles a lot in his sleep so I discovered his dimples quicker than Coopers’. Cooper is much more serious… especially when eating. His little eyebrows are always furrowed in concentration. I did catch a glimpse of his cute dimples the other day though when he was making faces. So all three of my boys have dimples on their right cheek. Super cute. 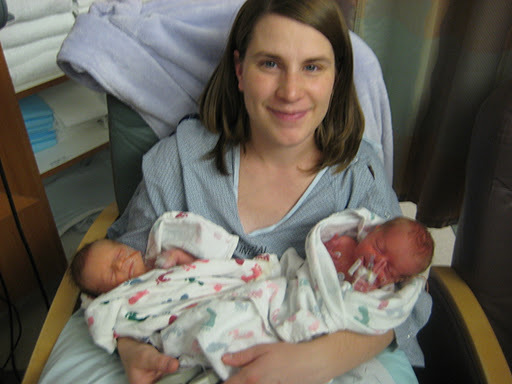 Becoming a mom the second (and third) time around feels a lot different than the first time. It feels more natural to love these little guys. It’s easier to believe that they are actually MINE (although I don’t think I will fully understand what that means until we are home). It has been a very emotionally and spiritually strengthening experience for me in ways that I can’t really explain. I’m grateful to be a mom and for all I am learning. It has been a wonderful week. We have so much to be thankful for with the arrival of these two babies. They are healthy and progressing quickly. They have great nurses and doctors taking care of them. We have awesome families who have helped us all week. Grandmas and grandpas have traded off tending Isaac overnight so that Derek and I can give all of our attention to the twins. How appropriate for the boys to come the week of Thanksgiving! We are truly blessed. 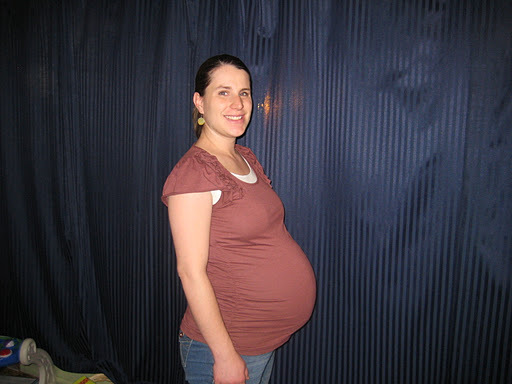 Here is one last prego picture of me. This is almost week 36. We took this picture after my doctor’s appointment last Friday. He had just told me that he didn’t expect me to make it to my next appointment which was only four days away. He was right! P.S. Isaac has been taking his first few steps this week! He has 3 teeth and is working on two more. And I swear he’s gained like 10 pounds in 5 days. At least that’s what it seems like after cuddling little 5 pound babies. He really does seem to have grown up though. It’s crazy. I can’t wait to have all of us home together so that Isaac can meet the babies. I am excited to see him in his new role as big brother. They are adorable! Congrats! I'm praying for you guys and hopefully they get to come home soon! Love ya!